Our educator led, interactive, full dome programs utilize Uniview, a visualization and simulation software aimed at presenting and teaching astronomy, astrophysics and earth sciences. Our full dome theater is a large-scale immersive environment, featuring realtime digital planetarium, and large-format cinema. Pre and post visit lesson plans are available. FUSION Shows - 50 minute shows that combine live programs with movies for a unique planetarium experience! You have been selected into NASA’s new astronaut program! Did you know, astronauts have to train mentally and physically before heading to the International Space Station? Students will learn multilingual astronomy vocabulary, meet a physical challenge, and complete an ISS mission. Find out if you have what it takes to be an astronaut! Then, (grades pre-k – 2) will enjoy One World, One Ky: Big Bird's Adventure, or (grades 3 – 5) will enjoy Asteroid: Mission Extreme. Explore different topics happening in science and astronomy right now. After hearing the latest Space News, sit back and enjoy Asteroid: Mission Extreme. This movie takes audiences on an epic journey to discover the possibilities that asteroids present for space travel. Using stunning visuals and state-of-the-art computer graphics, the film presents the fascinating idea, based on real science, that asteroids could be used as stepping stones to other worlds, veritable “way stations” in space enabling us to cross the entire solar system. 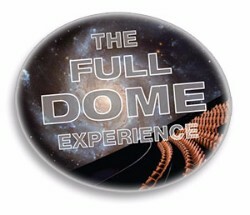 LIVE Shows - 50 minute educator led planetarium shows! In the past half century, humans have punched through the stratosphere, walked on the moon, and lived continuously in orbit. Strap in for the next giant leap. Next stop ... Mars! Narrated by Sir Patrick Stewart. Narrated by Harrison Ford, Living in the Age of Airplanes is a story about how the airplane has changed the world. Filmed in 18 countries across all 7 continents, it renews our appreciation for one of the most extraordinary and awe-inspiring aspects of the modern world. Mysteries of the Unseen World will transport audiences to places on this planet that they have never been before, to see things that are beyond their normal vision, yet literally right in front of their eyes. From home delivery and journalism, to disaster management and wildlife monitoring, “drones” aka UAV’s (unmanned aerial vehicles) are taking over the skies. But how did they get their start? How exactly do they work? What else are they used for? Throughout the class, students will be propelled towards the future after learning all about the next step in aerospace engineering! They will explore the history of drones and means in which society utilizes them, discover how drones require computer programming knowledge, and even experiment flying a drone. Throughout the technology industry change is happening every day. For students to become a part of this revolution they will need to understand how technology works… “under the hood.” Using hands-on activities, students will learn the components of the technology industry from hydraulics to circuits uncovering the essentials to constructing robotics, rovers, drones, and more! Robotics play an integral role in engineering our futures. From factories to outer space, robots contribute to our society every day, performing jobs people may not be capable of doing. But who builds and creates these “intelligent” machines? Using Lego® NXT Robotics Kits, student teams will be introduced to robotics in an exciting hands-on format, learning the engineering design process and exploring what it is like to be an engineer! Yo-yos, balloons, and slinkies may be found in any kid's closet, but they probably don’t realize that they can learn science from them. Students will use common toys to explore inertia, kinetic energy, laws of motion, and many more physics principles in this fun hands-on class. You might be familiar with androids in Star Wars, Star Trek or even the Terminator. However, modeling and engineering robots after humans in the real world is extremely challenging because of the complex systems humans use to do tasks. Using hands-on activities students will compare and determine the essentials needed to engineer a robot like a human while creating excitement about science, technology, and engineering. There are many things one needs to know before venturing up into space…like how does one go to the bathroom? The most common and practical questions will be answered on what life is like in space. Students will discover where to sleep, what kind of food is available, what astronauts wear and what some hazards are. Students will even get to try on a space suit! Experience Isaac Newton in a whole new way! Students will pull, knock and twist their way into a better understanding of Newton’s laws of motion through fun, engaging experiments. They will not only have a better appreciation for his laws, but students will never look at their world the same way again. Experiments include pulling a table cloth from under dishes and racing against other students in our Third Law Challenge! What is something that each and every one of us, including animals and plants, has to deal with everyday, all year long? Yes it is weather! Find out about basic weather patterns, where weather can be found, its effects on aircraft and the ingredients you need to conjure up some destructive forces! This math program puts students’ skills to the ultimate test - can they safely direct air traffic? Recreating the intense atmosphere of air traffic control centers, it’s up to the students to see if they need to change the plane’s direction or speed by putting their math skills to use in these real world situations. From ballooning to the Moon…an evolution of aviation, all in under an hour. This museum educator-led program will take your group through the museum’s collections focusing upon major events and aircraft in aviation history. Inquiry based learning will help students interpret the history of aviation on Long Island according to the age level and needs of each group. All classes comply with National and State common core standards. To enhance your visit to the Cradle of Aviation be sure to print out an aerospace quest and make copies for your students to bring to the museum. This educational tool was developed by the museum staff and docents in order to help groups focus and have fun learning.